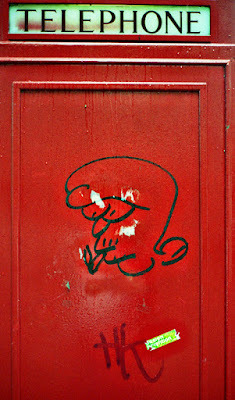 I liked this bit of graffiti on a phonebox in Knightsbridge, London, snapped with my Leica M6 on a rainy day. The sticker for "design brighton" seemed to fit. Barbican Race - Colour, B+W,Crop?